There is nothing new about menu planning and making a grocery list, however a lot of my friends and family think it's hilarious that nearly every Saturday or Sunday they'll see a facebook update from me that I'm menu planning. Then, when I explain my process for planning and shopping they look at me like I am certifably insane. What they don't realize is planning and preparing for the week makes EVERYTHING about the process so much easier. Especially now with a baby that I'd rather cuddle with and watch "walk" then spend extra time at the store. I realize everyone has their own way of doing things and it may take awhile to find an approach that works for you; I know it certainly took me awhile! Once you establish a plan that works for you, trust me, you'll be so happy you stuck to the trials of finding a system. Not only does it save you time in the end, it encourages creativity in the kitchen and, probably most important for many of us - it saves you money! When you walk in to the grocery store with a set list you'll be much less inclined to just browse through the aisles and throwing random stuff in the cart, which certainly adds up. - First I like to list out any evening plans during the week, such as: tickets to a sporting event, plans with friends and family, etc. This ensures that I plan accordingly for the amount of time we have to cook and eat, or that I'm not planning dinner on nights we won't even be home! - Next I like to check out what I have in the fridge/freezer/pantry as well as what is on sale at my local grocery store. If I notice I have a lot of chicken stock in the fridge that I opened 10 days ago I want to make sure to plan on making a soup that will use that up! Also, say ground turkey is on sale for $1.50 a pound - you better believe I'm buying some! Not only will I plan on using it during the week, I'll also buy some to keep on hand in the freezer. 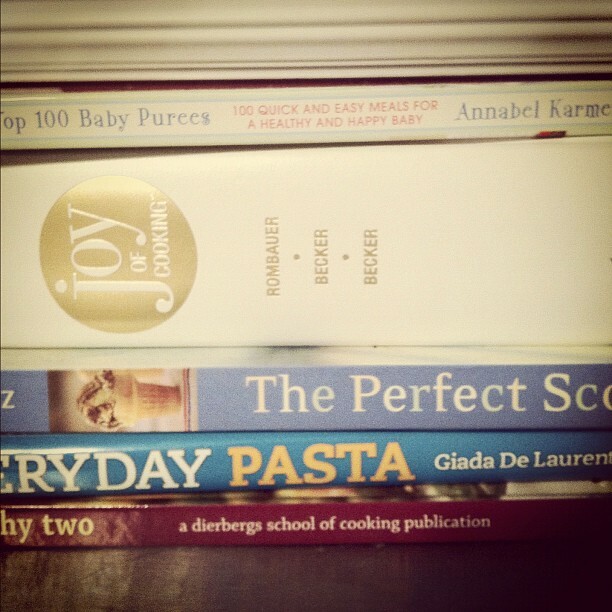 - Now comes the fun part - planning the meals! Once I know what I have to work with (weekly plans and what I already have in the house) I start looking for inspiration. 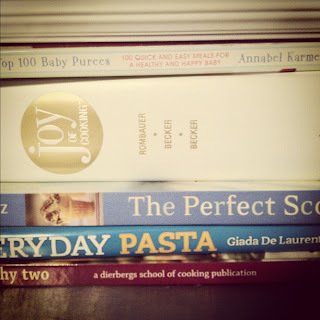 I like to check out blogs, cooking sites and cookbooks to get inspiration. I also use this time to look over what we've eaten recently so that I can either avoid - or add - a certain dish to the menu plan. TIP: I also like to check out the forecast for the week as well - especially during the change of the seasons - to make sure I'm taking advantage of nice weather, or not planning a hot soup when it'll be unseasonably warm. - Once I list out all of the meals we'll plan on having that week, I need to start a shopping list. I like to just go down the list of meals and start a running list underneath of what I'll need to buy for each meal. If I need to buy things for multiple meals I just indicate that where I originally wrote the ingredient. - Once everything is listed for dinners, we need to make sure not to skip out on the rest of the meals. Next I like to add snacks, breakfast and lunch foods, plus sale items to stock up on to my list. - Now that my shopping list is complete, I like to take it an extra step that only takes about 3 minutes at home, but without doing so I spend an extra 15 minutes at the grocery store. On the other side of the page I list out everything I need to buy in a rough order of the store. For example, I start the list with all of the produce I need to buy since that's at the front of the store. From there I add the deli items as they're next, the butcher and so on. Voila! - Grab your reusable shopping bags and away we go! Speaking of Type-A though, it's really only with lists that I'm this overbearing. Usually I'm pretty chill, though I do develop routines that I stick with, just out of habit. So funny because I kind of do the same thing. 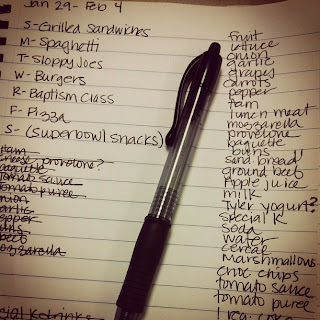 I used to post my shopping lists and weekly meals on my blogs (if you look back to older posts or search for them on there). Even though I haven't posted my meals in a while, I ALWAYS right down all of the ingredients in order that they are in the store: Produce/Herbs, Deli, Bakery, Meat, Grocery, Seasonings, Dairy, Frozen I write the headers and underline them and then write everything I need under each header. It makes it so much easier once I get in the store and I don't forget anything this way! I've got you beat. :) I have a Microsoft Word document saved in my computer with a list of each of the grocery aisles. To make my grocery list I just type what I need under each aisle and print it out.